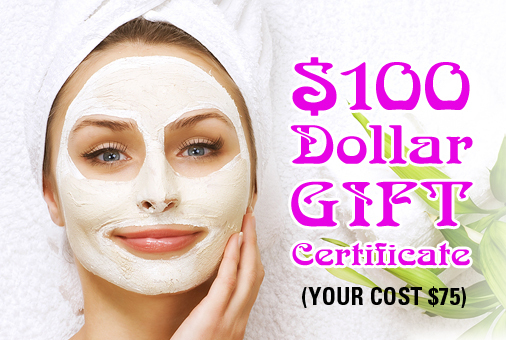 Get $100 dollars in your choice of Spa services for ONLY $75 dollars! Order a Gift Certificate Now for Yourself or a Friend! Choose any of your favorite Spa Services! Good for all Massage and Spa services. Get $100 dollars in your choice of Spa services for ONLY $75 dollars! A Great Gift! * Please indicate preferred delivery method in order comments. 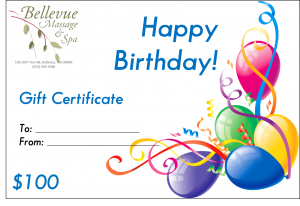 What better birthday gift than $100 in their choice of Spa services!